If you’re looking to eat the eco-friendly way, the closer you can get to the source, the better off you’ll be. By closer to the source, I mean how the food comes out of the ground in the natural, unprocessed kind of way. This means lots of fruit, vegetables, seeds and grains. One of the best ways to kick your healthy-eating into high-gear is to start each day off with a delicious green smoothie. I’ve been doing it for years now and will often eat one not only for breakfast, but for lunch on-the-go as well. It really is addictive, so beware! 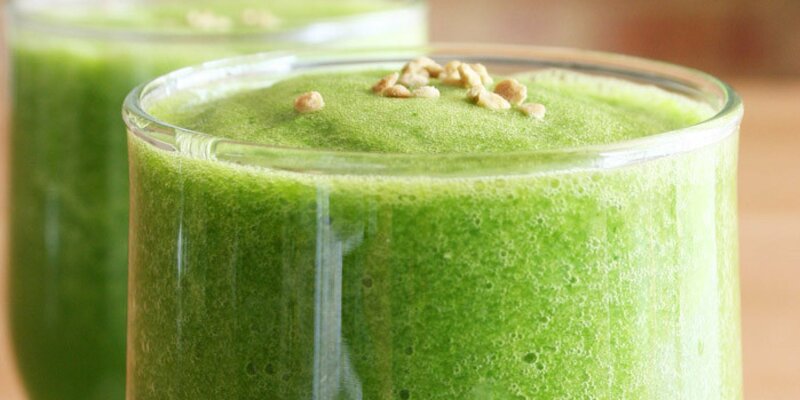 The basic recipe for a green smoothie consists of five things: Fruit/veggies/greens/sees +nuts/liquid. The ratios of each one will depend on your individual needs. Simply mix varying amounts according to your tastes. A pro-tip: you can save a ton of money by buying fruit in season and then processing it yourself. For example, buy a huge watermelon when it’s on sale, peel and cut into cubes. Or, a flat of strawberries. Wash and cut off the tops. Cucumbers-wash and cut into inch-long pieces. You can do this with basically any kind of fruit, as well as cucumbers. Store in ziplock bags and put them in your freezer until use. It’ll also save you a ton of time in the morning before work. For the seed/grain base, I like to mix up a big Ziploc bag with 7-10 different seeds and grains and keep it in my freezer. Then, I just add a couple tablespoons of the mix to each smoothie before I blend it. Fruit base: Berries, bananas, melons, peaches, plums, oranges, mango, etc. Fresh or frozen, but frozen is more delicious. Almost any fruit will work well. Vegetable base: Carrots, beets, cucumbers, avocados. Fresh or frozen. Greens base: Any kind of greens. My favorites are: lettuce, cabbage, beet greens, kale, swiss chard, arugula, fresh basil/cilantro/rosemary, etc. Seed/Grain base: Flax seeds, chia seeds, oatmeal, sesame seeds, pumpkin seeds, hemp hearts, walnuts, almonds, cashews, macadamia huts, sunflower seeds, etc. Liquid base: Water + one of the following: Soy milk, almond milk, walnut milk, yogurt. The best blender money can buy is the Vitamix. It’s industrial strength, meaning it can mix up your smoothie in seconds with no hassle or mess. It’ll even shred up whole carrots and beats easily, unlike just about any other blender on the market. The best thing about it is that it comes with a full, five-year warranty (even the refurbished models). The Vitamix truly is a product you can trust with a company that stands behind their product.